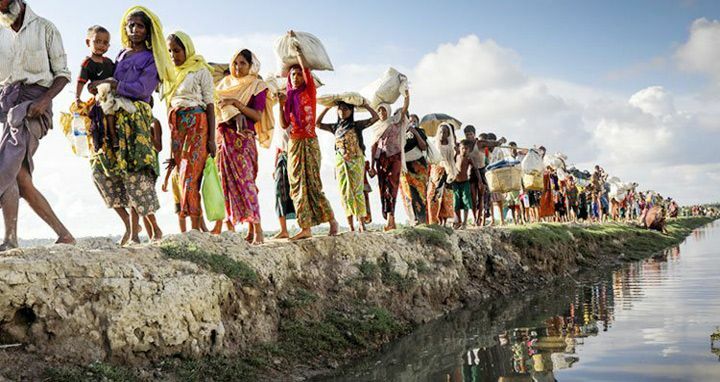 Dhaka, 13 April, Abnews: Rohingya refugees will be allowed to return to Myanmar “as soon as possible”, a minister said, despite a stillborn repatriation process and UN warnings that the safety of returnees could not be guaranteed. Win Myat Aye, Myanmar’s social welfare minister, made the comments in Dhaka late Thursday after visiting one of the Bangladesh camps struggling to provide for some of the one million Rohingya Muslims to have fled the country. Myanmar has repeatedly said it is ready for repatriation, but no date has been given for the return, and scepticism is rife in Bangladesh and elsewhere that a stalled refugee return plan will ever be implemented. Win Myat Aye had met with Rohingya leaders at the giant Kutupalong camp near Cox’s Bazar, where a group of refugees tried to stage a protest during his visit. Wednesday was the first time a Myanmar cabinet member has visited the overcrowded camps since a military crackdown that began last August in response to a spate of insurgent attacks, forcing some 700,000 of the Muslim minority to flee across the border. UN agencies have warned that any repatriation deal could place returning Rohingya in further danger and that conditions on the ground are not conducive for a voluntary, safe and dignified return. Ursula Mueller, assistant secretary general for the UN’s Office for the Coordination of Humanitarian Affairs, visited northern Rakhine this month and said Myanmar still needs to address “critical issues of freedom of movement, social cohesion, livelihoods, and access to services”.